How have consumer buying habits led to the latest storage industry innovation? Consumer behavior is continuously evolving. To stay ahead of the curve, companies need to understand which trends are developing and how that impacts satisfying their customer’s wants and needs. With a recent boom in the storage industry, Victaulic realized the need to introduce a storage industry innovation – the FireLock™ IGS™ Installation-Ready™ Style V9 Sprinkler Coupling with its corresponding line of FireLock IGS™ grooved sprinklers. To better understand the behind-the-scenes efforts necessary to provide storage industry innovation in fire protection, we caught up with two Victaulic team members who worked on these projects. Daniel Wake (DW), Product Manager – Sprinklers and Devices and Wayne Bancroft (WB), Senior Project Engineer shared their unique insights. 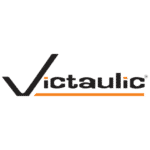 How is Victaulic Leading Storage Industry Innovation in Fire Protection? (DW) Because of the speed in which the storage industry is growing, warehouse owners are creating spaces not developed to specifications to move customers into these spaces as quickly as possible. The turnover rate from building the space to move-in emphasized the need for adaptability in storage industry innovations. The solution was simple, create a product quick and easy to adapt at a moment’s notice. Before this, only one solution [threading] existed and all the inherent issues, including leaks and messes, were overlooked. Creating a new method allowed fitters to seek an alternative. A real storage industry innovation, the Style V9 Sprinkler Coupling saves them time, money and reduces risk by having consistent sprinkler installation. What’s Unique to Victaulic’s Product Development Process? 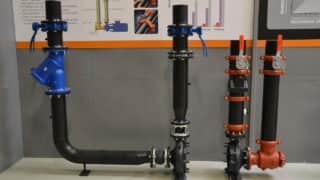 (DW) What makes the Victaulic product development process unique is the connection we have with our customers and industry associations. 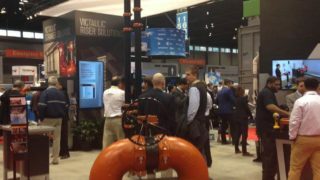 From being in regular communication with those in the field to visiting job sites ourselves, Victaulic is gaining exposure to the issues our customers face and the solutions they need. The feedback we receive allows us to understand common problems with threading and how we can improve upon those issues with our grooved solutions. With our boots on the ground, we’re able to leverage trends to anticipate and create quality solutions like our latest storage industry innovation. 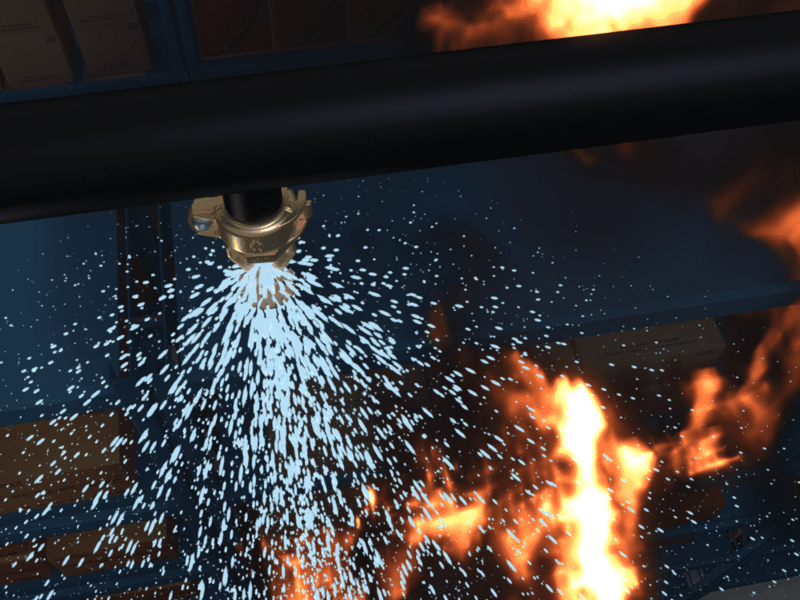 Since there has never been a sprinkler without threads, Victaulic ran focus launches to receive feedback from customers to continue to understand and meet their needs. Why Transition from Two-Bolt Coupling technology to a One-Bolt Sprinkler Coupling? (WB) The design of FireLock IGS Installation-Ready Style V9 Sprinkler Coupling is intuitive to the needs of our customers. The one-bolt sprinkler coupling design came from the desire to create a quick and easy pipe joining solution. The Style V9 Sprinkler Coupling can be orientated in any direction with no risk of damaging the sprinkler. The one-bolt sprinkler coupling design offers speed and ease of installation. With pad to pad inspection, there is no stress or strain of a torque wrench. One installer added, “You just take them out of the box and put them on the outlet, zip them on… It takes seconds compared to minutes.” Our team carefully considered customer needs when developing the one-bolt Style V9 Sprinkler Coupling, a true storage industry innovation. What are the Benefits of the One-Bolt Sprinkler Coupling to Contractors? (DW) The Style V9 Sprinkler Coupling removes the application of torque to sprinkler heads. These results can lead to costly leaks in the system. No torque requirements reduce cost and time. The one-bolt sprinkler coupling solution makes it easier for contractors to handle the sheer volume of sprinklers installed in a storage space. The reliability of the gasket seal reduces the number of leaks in a system, ultimately saving time and money. The Style V9 Sprinkler Coupling is simple, offering consistent installation, allowing users to provide identical installation on every single job. No matter the industry or customer demands, you can always count on Victaulic to engineer confidence with quality and valued benefits. For more information on the new the FireLock IGS Installation-Ready Style V9 Sprinkler Coupling, click here: https://www.victaulic.com/systems/fpstorage/.